Universal Travel Group just held an investor conference call to answer investor questions about their business. They answered some and left many unanswered. However I just want to focus on one thing: the Chinese language websites. That is good – because there are either a few “easter eggs” on the site or they are selling time-travel. I am going to show you how to book tickets for the 2007 Sinopec Formula 1 Grand Prix. First you go to the www.cba-hotel.com site. Here is a screen shot. I have used Google Translate to change this page to English. At the top of the page are the key tabs – things you can do on this website – things like book hotels or tickets. The sixth tab – in a fairly prominent place – is for F1 tickets. I pressed it – and translated to English. Here is a screenshot. This is from a site they maintain – and it is not deep in the site – it is a click on the main tabs on the front page. I made a Youtube video as well. Still the company wishes to maintain the site in future – and 20 percent of their business comes from these sites according to the conference call we just heard. So maybe we will soon be able to rent a really fast car to help us get to the race on time. I report – you decide. The only communication I have had from Universal Travel Group was a kind email from the acting Chief Financial Officer saying that I needed to provide proof that I was a shareholder to participate in the conference call that they are having on Wednesday, September 29, 2010, to discuss and answer any questions investors may have regarding the Company's business and financial statements. I have some questions and I forwarded them in advance to the company as requested. China Telecom:‭ ‬On‭ ‬3‭ ‬September‭ ‬2009‭ ‬the company announced a‭ “‬strategic alliance‭” ‬with China Telecom.‭ ‬The company did not however announce any contact name or identity at China Telecom who could be asked about the‭ “‬strategic alliance‭” (‬all the contacts were at UTA‭)‬.‭ ‬Can such a contact be provided‭? ‬If not then in what sense is it an alliance‭? Agoda/Priceline:‭ ‬ On‭ ‬13‭ ‬July‭ ‬2010‭ ‬the company announced a‭ “‬partnership‭” ‬with Agoda/Priceline.‭ ‬The company did not however announce any contact name or identity at Agoda/Priceline who could be asked about the‭ “‬partnership‭”‬.‭ ‬Can such a contact be provided‭? ‬If not then in what sense is it a partnership‭? The company in‭ ‬2009‭ ‬reported total telecoms cost of‭ ‬75‭ ‬thousand dollars.‭ ‬This is a small amount compared to over‭ ‬600‭ “‬tripeasy kiosks‭” ‬with‭ ‬3g facilities and a‭ ‬300‭ ‬seat phone centre. What was the telecoms cost per tripeasy kiosk‭? What is the telecoms cost per phone-seat in the phone centre‭? What is the total telecoms cost of housing your combined websites‭? ‬How much data is provided over the websites and how much do you pay for it‭? How can we expect these costs to change over time‭? You state in your‭ ‬10K that your subsidiaries,‭ ‬YZL and SLB‭ (‬Shanghai Lanbao Travel Service Company Limited‭) ‬have contracted with‭ ‬2,000‭ ‬hotels and‭ ‬7,000‭ ‬hotels,‭ ‬respectively. How many staff do you have looking after the contracts with all these hotels‭? ‬How many are in Shenzen and/or your call centers and how many are on the road (that is travelling buyers of hotel inventory)‭? ‬How much‭ does your IT department do to integrate their IT‭ (‬ie booking systems‭) ‬with your booking engine‭? ‬How many IT staff are required to maintain the relationships with‭ ‬9000‭ ‬hotels regarding things like integrating into hotel-reservation systems and other similar functions‭? When you buy inventories from third parties‭ ‬how much commission do you pay those third parties‭? ‬Can you go through the economics of selling rooms that you source yourself versus rooms you sourced from third parties‭? If you have direct hotel relationships are there people at hotel chains with whom we can verify the nature of the relationships‭? ‬A contact at any major chain will do. The company claims on its website to be corporate partners with a wide range of airlines. Could you please describe the nature of this‭ “‬partnership‭”‬.‭ ‬Do your computers hook into their servers and booking system hence allowing you to guarantee the lowest price‭? ‬Do you have‭ “‬most favored nation clauses‭” ‬which allow you to meet the promise you make on your website of “guaranteed lowest price”‭? If so‭ – ‬can we have a contact at a single airline‭ (‬let's pick Qantas‭) ‬with which we can confirm the nature of this partnership‭? This list of airlines includes some OneWorld airlines‭ (‬eg British Airways,‭ ‬Quantas‭) ‬and some‭ ‬Star Alliance airlines‭ (‬eg Swiss Air – but strangely not Lufthansa which owns Swiss Air‭)‬. What is the secret to maintaining‭ “‬partnerships‭” ‬with both of these groups‭? ‬Under what conditions does say Star Alliance allow you to deal with OneWorld?‭ ‬It is very unusual to have‭ “‬partnerships‭” ‬with both groups that allow you to maintain a “lowest price guarantee” with both groups.‭ ‬In what way does that partnership restrict your business? What is the visitor traffic per day in‭ ‬2009‭ ‬and so far in‭ ‬2010‭ ‬for that site‭? ‬Have you managed the merger of this traffic with your CNUTG site‭? What is the visitor traffic per day for www.cnutg.com‭? How do I reconcile these numbers to ChinaRank.org.cn which suggests that total users of these sites are about‭ ‬1-2‭ ‬per million of population‭? Questions regarding cookies on the website‭? Do you have decent counts of the number of unique visitors to the website‭ – and if so what cookies process do you use to maintain that count? ‬Do you have data on how many convert to sales‭? ‬Have you experimented in changing parts of the interface to see if you can capture more of the‭ “‬lookers‭”? When I looked I found very few payment options compared to your competition.‭ ‬Have you considered paypal‭ (‬used by CTrip‭)? What proportion of your payments are online versus a telephone ring back to the number provided‭? ‬If you handle payments via a telephone ring back how do you deal with foreigners‭? ‬Why not internet,‭ ‬credit card,‭ ‬paypal‭? ‬Are there payment issues for foreigners that differ from Chinese‭? ‬If so what are they‭ – ‬and how do the leaders‭ (‬CTrip especially‭) ‬deal with them‭? The‭ ‬10K gave no intersegment eliminations for the business.‭ ‬How much air travel booking or hotel-reservation does the tour business buy from rest of the company‭? ‬If these businesses are not related then why own them under one umbrella‭? ‬If the businesses are related‭ (‬as I would expect‭) ‬then can you please provide reasonable segment elimination accounts‭? The‭ ‬10K reveals‭ ‬780‭ ‬staff and staff costs of just over‭ ‬500‭ ‬thousand.‭ ‬Can you indicate how many technology staff you have and roughly their average staff costs‭? ‬Can you indicate how many staff are in Shenzen.‭ ‬Can you indicate how many staff are involved in maintaining your relationships with‭ ‬7000‭ ‬hotels‭ (and hence do not earn sales commission). How many are IT staff and other professional staff (accountants and the like) who do not earn sales commissions? Can you tell us how you reconcile the high staff numbers and low wage bill with minimum wage laws‭? Do you own or outsource your core servers‭? ‬Related parties can include any of our directors or executive officers,‭ ‬certain of our stockholders and their immediate family members.‭ ‬A conflict of interest occurs when an individual’s private interest interferes,‭ ‬or appears to interfere,‭ ‬in any way with the interests of the company as a whole.‭ ‬Our code of ethics establishes requirements of our officers regarding conflicts of interest.‭ ‬Any violation of our code of ethics must be reported to the Company’s chief operating officer or any member of the Company’s Board. Except for the ownership of our securities,‭ ‬none of the directors,‭ ‬executive officers,‭ ‬holders of more than five percent of the Company’s outstanding common stock,‭ ‬or any member of the immediate family of any such person have,‭ ‬to our knowledge,‭ ‬had a material interest,‭ ‬direct or indirect,‭ ‬in any transaction or proposed transaction,‭ ‬since the beginning of‭ ‬2009,‭ ‬in which the Company was or is to be a participant and the amount involved exceeds‭ ‬$120,000. As of June‭ ‬30,‭ ‬2010,‭ ‬Due from related party account has balance of‭ ‬$6.99‭ ‬million,‭ ‬which was an advance for cash payment of two acquisitions in June.‭ ‬The payments were paid by corporate account on June‭ ‬28,‭ ‬2010‭ ‬and the related party returned the same amount on August‭ ‬10,‭ ‬2010. What were the acquisitions? ‬Why was almost‭ ‬7‭ ‬million advanced to a related party for it‭? ‬Which related party‭? Were both acquisitions from the same related party as implied in the above paragraph? Are there any other acquisitions you have done involving related parties that have not been spelt out in the various proxies. Whilst on the subject of proxies‭ – ‬what does the CEO live on‭? What is the source of funds for the CEO’s living expense‭? ‬I would appreciate at least some guidance as to how this makes sense from Ms Jiang's perspective. 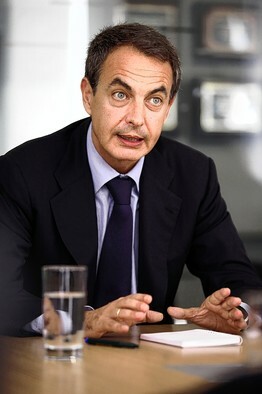 The WSJ has a piece where Mt Bean (ahem: Spanish Prime Minister José Luis Rodríguez Zapatero) declares the European debt crisis over. And here is the Spanish Prime Minister. Postscript: several people have complained that I should not mock people for their appearance. Accepted. Now lets look at what he is saying: "European debt crisis over". Response: looked at Ireland lately? 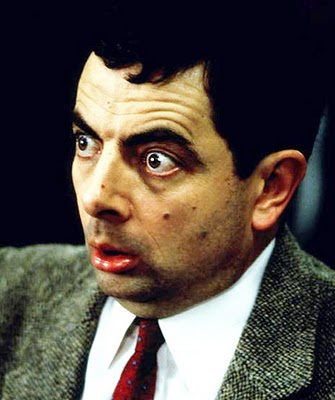 Mr Bean would have done better. He would have said nothing. I don’t spend nearly enough time reading SEC Proxy Statements. Proxies are the bread-and-butter of serious readers of SEC Statements (such as Michelle Leder’s excellent Footnoted). But in the Universal Travel case I have had some fun with proxies. Related parties can include any of our directors or executive officers, certain of our stockholders and their immediate family members. A conflict of interest occurs when an individual’s private interest interferes, or appears to interfere, in any way with the interests of the company as a whole. Our code of ethics establishes requirements of our officers regarding conflicts of interest. Any violation of our code of ethics must be reported to the Company’s chief operating officer or any member of the Company’s Board. Except for the ownership of our securities, none of the directors, executive officers, holders of more than five percent of the Company’s outstanding common stock, or any member of the immediate family of any such person have, to our knowledge, had a material interest, direct or indirect, in any transaction or proposed transaction, since the beginning of 2009, in which the Company was or is to be a participant and the amount involved exceeds $120,000. That is as you would expect to see it. There are no related party transactions of any size which is kind of important because the company recently raised $20 million in cold-hard-cash (in a secondary offering) to do acquisitions. As of June 30, 2010, Due from related party account has balance of $6.99 million, which was an advance for cash payment of two acquisitions in June. The payments were paid by corporate account on June 28, 2010 and the related party returned the same amount on August 10, 2010. This leaves lots unanswered and I do not feel happy to speculate as to why these transactions exist. However here are a bunch of questions for management. I have forwarded these questions and have received no reply. 1. What acquisition is this balance for? 2. Was this one of the acquisitions for which capital was raised by a secondary offer earlier this year? 3. Why did a related party receive a cash advance for this acquisition? Was this acquisition made from a related party? 4. Why was this relationship not disclosed in either the proxy or the documents for raising the above-mentioned $20 million? 5. Was there any consideration of charging interest on the cash owed by the related party? 6. Was any collateral taken from the related party? 7. Were there also shares paid to a related party? 8. If so have those shares been registered? Are they being sold into the market? If they answer I promise to report on the blog. One of the things I promised with this blog was to explore ideas rather than talk my book. I also promised to explore my failures (of which there have been a few). So here goes. To make real money in tech your company must do three things. Two out these three and the results will be (at best) inadequate. You need to have an idea that effectively changes the world in some way (even small ideas are OK as there are surprising profits if you can pull the next two tricks). You need to execute – that is you need to bring the idea to reality. And you need to keep the competition out. Of these normally number 3 is the thing that trips up tech companies – they work really hard to get the idea implemented and then someone with less expense – and with the benefit of watching your failures, trials and tribulations – copies the idea (usually slightly better or less clunky) and the margins go to zip. Microsoft is such a fantastic company not because they have the technology right – but because people build on them proprietary software (developers, developers, developers) and that makes people reluctant to change even if the new product is superior. At Bronte we normally don’t own tech stocks unless all the ducks are lined up – that is we want demonstration of execution and we want to understand how they keep the competition out. This year we broke the rules and paid for it. Our largest losers (cumulatively about 5 percent) are two tech stocks that are having trouble at the execution phase. One of them is small cap and too painful to mention – the other has some hope – and it is a well known company – possibly the hottest float of 2009. The company is A123 systems and it has one of the first viable nano-batteries. It has yet to scale production to a level which demonstrates execution and even if it can execute we are not sure how well it will keep the competition out. A battery works by chemical reactions which liberate electrons which have to travel through circuits (delivering power) to complete the reaction. The chemical reactions work on the surfaces inside the battery (eg the lead plates inside the lead-acid battery in your car). One of the limits to how much power a battery can produce and how fast it can recharge and the like is the amount of surface area that the reaction can take place on and how much of the chemical can be stored on that surface area. More surface area is good and your car battery has lots of plates to increase surface area to volume ratios. A nano-battery makes the contact area very large relative to volumes by making all the contacts at a “nano-scale”. Obviously the smaller you make such stuff the larger the surface area to volume ratio. A123 have produced the first commercially viable nano battery. It is no longer the only one – Toshiba for instance has demonstrated one. The specifications for this battery are a step increase from the past. If the battery can be made cheaply enough (and that is a big if) then it will change the world because it will make mass storage of electricity viable for lots of applications. The obvious applications are cars but also storage of solar energy and management of peak load electricity would come into play. If A123 executes it changes the world. When we saw the specs – well – frankly we had our doubts. So we wanted to find people who used them. And remember in the early stage these batteries were frighteningly expensive. So we went to a group that we thought would use these batteries to their full potential and be insensitive to the cost. Besides it gave us a chance to pretend we are kids again – because the real enthusiasts never grew up (they still fly model planes). This little demonstration on YouTube translates raw battery specification into something visual. The video is astonishing but we wish we never saw it because after seeing it we would have crawled over broken glass to buy the stock. This video cost us a lot of money! Anyway – the demonstration is a 17 pound remote control plane powered by A123 batteries. The owner will enthuse endlessly – and indeed does. When this film was taken the batteries were so expensive that only a nutcase enthusiast would pay for them. But who cares, or so we thought! Mass production makes everything cheap and this company had a technological edge and patents we thought might keep the competition out for a while. There was an implicit assumption here – which is that, provided the battery did not contain super expensive materials (ie rare metals at thousands of dollars per kilogram), then mass production would make anything cheap… in other words we assumed away the risk and difficulty of execution. And alas execution is really difficult – and whilst A123 is struggling to get a product to market at a price low enough to change the world – other competitors are turning up. And they continue to burn cash in the hope of reaching some manufacturing promised land. Linked is recent article on a new nano-battery technology (and that alas is one of many, many of which look superior to A123). What got us was just how complicated the manufacturing process seems when you read this article. The company talks about “nano-wires” taking in lithium without breaking but the process not being sufficiently mechanically stable. After all things heat up and flex. So the nano-wires are built on thin metal cores that the company likens to steel rebar. Picture this: how small is this rebar? How do you manufacture it? Who builds the machines to make the machines? The point is that we lost money because the company just can’t get manufacturing costs low enough fast enough to produce the rosy future we saw. We assumed away execution risk and paid the price. A123 might get there in the end – and the stock is almost certainly a better buy now than when we purchased it – in that they are further developed and the stock is half the price. But we are hardly in a position to judge whether they will execute in the end. And we are already seeing competitive products in development. The other tech stock where we assumed away execution risk – well that was an even worse outcome. And the pain of loss makes me not even want to talk about it. We should note some informed comment on just how much battery technology has moved in the remote control plane space. A123 might yet get to a desirable cost structure – but it is highly likely there will be lots of competition (at least nearby) when it gets there. Numerous people have suggested that it doesn’t really matter that you can’t buy tickets on the Universal Travel Group’s website. After all, all you need to do is give a valid Chinese mobile phone number and they will ring you back to conclude the payment. In that view it hardly matters that the company advised the US capital markets that they had an online payment ability. * People even reference this by pointing to Alexa traffic numbers. So I will do so before revealing the fault in that analysis. Here is the Alexa page for CNUTG. It reveals that CNUTG is the 17,563rd site in the Alexa database and the 2,492nd site in China. If I compare it to www.check-in.com.au (a real, albeit minor, travel company in Australia) it checks out quite nicely. Check-in is the 1,893rd site in Australia. In other words – the bulls argue – www.cnutg.com is a real travel company albeit with a clunky website and lack of a payment mechanism. There are fallacies in this argument. The main one is about the relevance of the Alexa database. Alexa provides data on global internet use by people using Alexa toolbars (or similar). This makes CNUTG the 2,492nd site in China of people whose Alexa toolbars are reporting data back. Alas Alexa data is notoriously inaccurate in China as the Chinese internet police block data from Alexa toolbars. Alexa toolbars thus bias Chinese sites to Chinese sites visited by non-residents of China. After all it is the Chinese authorities who monitor website usage in China – and they don’t much like other people doing it. And that gives the game away… we are not tracking Chinese travel visitors. And it is not surprising that, of China sites, CNUTG is popular amongst non-Chinese. The stock is – after all – listed on the NYSE. We can do much better – there is a Chinese version of Alexa which produces far more accurate data for China. That site is China Rank. It is in Chinese only – but it allows us to check out the web traffic per million internet users in China for the various travel companies. Here is a comparison for Elong, CTrip, MangoCity, Qunar and the two main Universal Travel sites CBA-Hotel and CNUTG. Here is the link . You are reading this right – the pages get 1 to 2 users per million internet users in China. There are 420 million internet users in China – so these sites get about a thousand users in total (and presumably far less users daily). The company claims to have taken 2.4 million flight bookings last year and sold 2.3 million hotel room nights. (Those claims were made by the former CFO at the March 2010 China Rising conference.) Presuming this was on the internet (as the company has implied many times) this is an unusual travel business – in that it sells approximately 1000 users 4.5 million individual bookings per year. That – if true – would be a lot of revenue per unique user! I am racking my brain about alternative explanations. Again I asked the management if they could explain (but without response). The obvious explanation is that the bookings never happened (and hence the revenue of Universal Travel Group is fake). That would of course be consistent with the other problems. For instance very limited sales is consistent with the dysfunctional website (making it hard to book), the lack of reasonable cookies on the website (which is not supportive of return business), the lack of customer acquisition cost (typically a major cost for such a business) and the lack of interest earned (which is supportive of the notion that the cash balances the company claims are not existent and hence the earnings are not existent). China Rank also – conveniently – gives us the top 100 travel companies in China. The source is linked and the list is below. None of the Universal Travel Groups sites rank in the top 100. Stating the obvious: if you can’t rank in the top-100 sites you are not a leading online travel company as per the stock promotion. Postscript: The company has irregularly given different traffic numbers in SEC filings. Here is an example (from the last annual filing). In August 8, 2007, we acquired Shanghai Lanbao Travel Service Company Limited ("SLB") in exchange for 200,000 shares of our Common Stock and interest-free promissory notes in the aggregate principal amount of $2,828,000, payable no later than August 8, 2008. The note has been repaid in full. SLB was established in 2002 and its core business focus is a centralized real-time booking system providing consumers and travel related businesses with hotel bookings, air ticket and tourism information via the internet and mobile phone text-messaging technology. It owns and manages the award winning China Booking Association website, http://www.cba-hotel.com/, which receives approximately 200,000 visitors daily. These numbers are about 100 times the Alexa traffic estimate and maybe 200 to 400 times the China Rank estimate of total users for the site. *I should note that the company has provided some online payment ability since I wrote my initial post. This ability is limited and clunky. Other major problems with the sites remain – for instance the lack of cookies to appropriately manage return customers. First postscript quantification: China Rank as far as I understand measures users. Alexa measures viewers in a particular day. In both cases however the usage is way too low to sell that many tickets. The distinction here is second order – but if I have glossed over it then I apologize. Whatever – I noted the visitors per day claimed by UTA for CBA-HOTEL (200 thousand) are 100 times Alexa estimates and 200-400 times China Rank estimates. The nuances in definitions of visitor numbers are small compared to these multiples. Universal Travel Group’s cash balances: is there any way of testing whether the $43 million is really there? In the last few days more than half of the float of Universal Travel Group has turned over. It is clear that the company has made some misleading claims about their website. Some claims are easily falsifiable - in particular the claim (made by press release) that the website offers comprehensive and timely travel information and services, including guaranteed low prices, high visual appeal, map support technology and easy payment functions. Still – and despite this – people have purchased the stock on mass – perhaps lured by the low single digit stated price to earnings ratio – perhaps lured by the large ($43 million stated) cash balance. These are of course the same lure. If the earnings are not there the cash balances they generated are unlikely to be there (and visa-versa). And if the cash balance is there my short position in the stock is wrong. So I needed a test of either the earnings or the cash balance. If I could falsify one then any case for owning this stock would evaporate. I was criticized in the comments for not approaching management with my concerns – so I have asked management (by email) if they have an innocent explanation for what follows. They have not replied. The company ended the March quarter with a stated cash balance of $37.833 million. It ended the June quarter with a stated balance of $43.591 million. It is reasonable to guess an average cash balance of $40 million. At 2 percent interest yield (a lower bound) the company would be earning $800 thousand per year – or $200 thousand per quarter on that cash. It reported interest earnings of $17,081. I asked management if there was an innocent interpretation of this discrepancy – indeed I gave them a draft copy of this post. I have not received a reply. So I will provide an incomplete list of alternatives. First guess: It could be that management are so incompetent that they have parked all this cash in a bank account without even asking for a market yield. Second guess: It could be that someone is stealing the interest by say depositing it somewhere and having the interest shifted to another account. Third guess: It could be that the accounts are wrong and the interest is being earned – it is just not properly reported by the company. Fourth guess: It could be that the cash balance does not exist so it is not possible to earn $200 thousand per quarter – and that $17 thousand per quarter in interest is reflective of the real cash balance. There may be another interpretation – but the company has not helped me. I am again reaching out to the company for help. They can now provide an explanation by press release and/or SEC 8K filing. If I were forced to guess I would suggest the most likely explanation is that the cash balance is missing. The company has claimed to earn lots of money on what is a non-functional internet travel company. Its a fair guess – faced with this bit of corroborating evidence – that the earnings are not there and hence the cash balance is not there. This post gives you reason to question the rest of the accounts – to question whether the earnings are there (or indeed if there are any earnings) and whether the cash balance is there. Still the clear thinking on this blog has not stopped people buying over 10 million shares at over $3 and sometimes over $4 each. Someone has a different interpretation. If they share it I will happily allow it in the comments. But my guess is that the cash and the earnings are not there. The company provided no alternative explanation despite repeated attempts to contact them. First postscript: Official rates in China are above 5 percent. Banks in China are awash in deposits and do not feel compelled in any way to pay official rates. That said – the company earned $17 thousand in interest in the quarter on average balances likely near $40 million. That is 0.17 percent per annum – or less than half the lowest interest rate in the table. The point is still made – the interest receipts and cash balances appear inconsistent. There is more to this story than the dysfunctional website and the fact that an internet travel agent pays a lot in commissions (as part of cost of goods sold, not salaries I might add). But for the moment the website is just so funny. To the latter there is a simple defense to this – which is to demonstrate that their site did not work. I have done so with a video (now placed on YouTube). I am not going to embed it because it is frankly boring as most of my readers would know how to book a plane flight or a hotel online anyway. Several journalists wanted my comment – and it was the same… just test it out. Everything needed to verify my blog post can be done from your office in your little hedge fund or in the SEC. Journalists both inside China and outside China have asked me for comment – and the comment is the same… just try and book certain things with the website. I was explicit – there is an old-fashioned phone-based travel agency underlying this site. If you are in China and you give your 11 digit mobile phone number there are many places where you think you are going to complete the booking process online and then a box turns up to expect a phone call from a person to actually complete the booking process. The new website will integrate the Company's three previous, separate ones (Classic, TRIPEASY, and Easytrip versions) into a single more integrated and streamlined platform. Accessible via http://www.cnutg.com , the website is a result of a year of research and development based on customer ratings and feedback. It offers comprehensive and timely travel information and services, including guaranteed low prices, high visual appeal, map support technology and easy payment functions. Additionally, new functionality such as the ability for customers to purchase cell phone minutes using the website should drive additional customers to the site. My explore found no map functionality, no online payment mechanism, no formalized customer feedback system – indeed very limited cookies. There was a distinct lack of information (fare terms, reasonable sized pictures of hotels etc). The site did not match the press release. You can still however buy many things offline. As I said – there is a travel agent there – one that pays real commissions out. Under the agreement, Universal Travel Group will offer its customers access to Agoda’s international network of hotels. Through the updated cnutg.com website, travelers will be able to enjoy special Agoda promotions and instant confirmation at tens of thousands of hotels worldwide. Through this partnership with Universal Travel Group, Agoda intends to increase its exposure in the large Chinese travel market. The press release announcing this partnership had contact phone numbers from Universal Travel Group and no contact phone number from Priceline. Anybody want to check with Priceline management how much business Universal Travel are doing with Agoda? That said the company has fixed a few things on the website since my post. For instance the English tab on beta.cnutg.com now works. It did not work prior – and the first I heard about it working was when I was flicking through the posts on Yahoo (if only to identify any direct death threats). Also the “pick up at the airport in Shenzen” option has been disabled for me – but as of a few minutes ago it was still available for a journalist in Beijing when he tried to book a flight out of Beijing. Also now rather than some error messages I am now getting a “we will dial you back to complete” message which is clearly an improvement. But life is not about travel companies in Shenzen and their trolls on the Yahoo chat board thinking you should be hanged. Life is joyous. Travel is one of the things that is fun – and so is YouTube. As I said, I made a YouTube video of me testing the site – and showing some of the glitches – especially the international hotels glitch. Alas it is boring and this blog aims to entertain. Travelling through China with the Universal Travel Group: fly from Beijing to Yichang – pick up your tickets at Shenzhen airport! I am close friends with the major investor in a small but well placed online travel business. If you ever need a modestly priced hotel in Australia by far the best site is www.checkin.com.au. It does not have the best range – but it fulfils the function of the discounter – running on the thinnest margin and being a place where hotels can (quietly) shift their excess inventory. If you want a business hotel in Sydney don't bother with anything else – checkin.com.au is the best deal. If you want a romantic getaway in the Blue Mountains there are plenty of other suggestions though you might get lucky with the discounter. Travel booking companies have – for the reasons stated above – interested me. And – being in my business – I like a cheap stock. So a fast growing online hotel and airline booking company in China trading at a PE ratio of about 5 caught my eye. I can't resist a bargain. Here is the company description from the footer of their press releases. Universal Travel Group is a leading travel services provider in China offering package tours, air ticketing, and hotel reservation services via the Internet and customer service representatives. The Company also operates TRIPEASY Kiosks, which are placed in shopping malls, office buildings, residential apartment buildings, and tourist sites. These kiosks are designed for travel booking with credit and bank cards, and serve as an advertising platform for Universal Travel Group. The Company's headquarters and main base of operations is in Shenzhen in the Pearl River Delta region of China. More recently, Universal Travel Group has expanded its business into Western China, opening a second home base in the Chongqing Delta region, and other attractive, under-penetrated tier-two travel markets throughout the country. For more information on the Company, please visit http://us.cnutg.com . But we at Bronte insist on at least some due-diligence and so we spent some time fiddling about in their website. I will cut to the chase. We will not be buying the stock. Too Jabberwocky for us. The UTA website gives a business description. I have included in here the screen-shots from the website in case the websites change in response to this blog. Here is the screen-shot. So far – so good. Alas when you start to use this site you wind up going down a rabbit hole of Lewis Carroll proportions. I most certainly was not going to buy an online travel company without checking out their IT – and what better way to do that than by using it. Fortunately UTA has an English language travel booking site (http://en.cnutg.com/). On it I tried to book a one-way flight from Beijing to Yichang. That is a trip I made largely by rail in the early 1980s which was – I can assure you – a different time in China. Anyway fairly quickly it gave me three options. A screen-shot is here. This is fairly convincing. They are the same flights that I found when I did the same search on CTrip.com. Indeed the prices were identical – and the main advantage of CTrip was that it also told me the pricing on alternate days in a neat graphical format. CTrip also gave me some neater phone options – including skype. There were some oddities – the site had no box (pop-up or otherwise) which explained ticket conditions. You did not know whether these were non-refundable tickets or whether flight times could be changed and under what terms. Those conditions were clearly available on CTrip. This gets really surreal when you try to actually book one of these flights. Here is what happens when I try to book a ticket on flight CA1823 on Universal Travel Group's website. First I get taken to a page where it asks me to identify myself by passport or ID card. I chose an Australian passport (but used a fake number). It also asked me how I wanted to pick up the ticket: at the company, the airport or onsite delivery. I chose the airport. It gives me a payment option – being cash or credit. The screen-shot is below. Now there are again some odd things about this – most notably the airport address they want me to pick the ticket up at. It is Counter 42, 43 Terminal B, Bao'an International Airport, Shenzhen. Now remember I am booking flight from BEIJING to YICHANG. There is no indication that I will ever be in Shenzhen. It is 1200 miles from Beijing to Shenzhen – it might be a little out of my way to collect the ticket. In the American context this is like flying from New York to Greensboro North Carolina and being asked to pick up the ticket in Miami. We did the same search in Chinese and we got the same bizarre result. By contrast – when I did the booking button on CTrip.com it made me register as a customer – and then took me to a much more sensible page with options to give addresses and mobiles both inside and outside China and with payment options including credit cards and Paypal. It also had highly sensible pop-up boxes which told me the conditions of the ticket (for instance under what terms I could change my flight times). Being a sucker for punishment I translated the Chinese and found a standard set of error codes. I got the same when I tried to buy with credit – and at no stage was I given a box to put my credit card in or a link to Paypal. I did these screenshots using chrome browser. I reproduced them all except the above error using Firefox. In Chinese I gather there is slightly more browser-choice instability. Ok – it looks like this travel site is all front-end, no-back end – there is no actual booking, no mechanism of collecting payment – no nothing really. The company in its stock-promotion spiel says that it allows for “convenient online payments” but there was no mechanism here for making any payment. In this day-and-age it is not difficult to take PayPal. That payment option can be set up very quickly. Could all this be just because we are doing this in English and this is a Chinese company? By this stage we wondered if we were going insane – was this a real company at all? We had a friend repeat precisely this experiment in Hanji. His results differed in one important way – which is when you actually gave a phone number and confirmed a booking they said a consultant would ring you back. Also – the prices were consistently 2 percent cheaper than if you were querying in English. Finally – and this was to my view key – there was a SKYPE ME button just like on CTrip.Com. You could not pay online – but this was lead generation for an off-line travel company. There was something there – it just wasn’t “instant reservations” and “convenient online payments”. There is one more strange thing about this website – there is no opportunity to book international flights. The web page pictured above however describes the company as a Primary Agent for international airlines. Here is the International Hotel booking page. Ok – so I tried to pick a Sydney hotel for next Friday night – which seems like a nice time to take my wife out. Alas my precious darling will be disappointed. They do not have a hotel in Sydney that night. Nor any other night I tried. So let’s try somewhere else – how about New York, NY? Same result. But if you look at the site it advertises rooms at St Giles The Tuscany – which is a quite nice hotel in New York – so I pressed that link. It brings up something that looks like the right hotel (albeit with a bad and blurry photo). But the buttons that say “hotel description” or even the button that says “book” do not work. Here is a screen-shot. I am inquiring to book a hotel. I have got to the right page – and – yes – the button that says “book” does not work. Have you ever known a shop that will show you all the inventory but not let you buy? But it is worse than that – I tried half a dozen other hotels that they advertised on the left hand side of their page. Every time it bought up the same indistinct photo. All the hotels were identical. I know that one business hotel is more or less like another and when you are cocooned in one it does not matter whether you are in Auckland or Helsinki – but this is ridiculous. The photos were literally identical. No wonder the picture naming the hotel is blurred. We did the same queries in Chinese and found the same thing… for instance we were unable to find any hotels in Sydney or New York on any night we tried. The website has a maps tab. This is a really useful feature for a travel booking company because you can make a lot of money booking travel at short notice to people on the road. I wanted to fiddle with that. Alas it did not work – it mapped a small area around Shenzen – which is not much use picking a hotel in Yichang. But it was far worse than that – the website was far-from-optimized for use on a mobile phone (running on an iPhone it produced two error codes in presentation which the iPhone asked if I wanted to ignore). This is serious for a travel website which people often want to refer to on the road. It is doubly serious for a travel website in China because in China more than most places people interact with the internet through their phone. Well I thought that maybe their website was dysfunctional – but at least I might be able to book on the phone. There was a phone number (400 888 9966). I rang it using the trusty Google Voice which would have represented me as ringing from within China. There was a message to press “6” for English – which I pressed – and then they fed me through an endless Chinese menu. I pushed buttons at random and was left on music on which I waited for 30 minutes. I figured I needed a Chinese speaker to do this – so my friend came to my rescue. After some dropped lines and the like he found that – underlying this and at the other end of the phone was a real travel agency. You could book both domestic and international flights on the phone. Indeed the website has an international flights tab in Chinese – and when you get through to the booking screen they indicate that they will phone you. Do not think for a minute that this company is entirely fictional – we are sure that there is a travel agency underlying this company but it is not an internet travel agency with “air ticketing and hotel reservations via the internet”. It is an old – limited dial up travel agency – precisely the type that is being disintermediated by the CTrips and Pricelines of the world. The phone was answered in Cantonese. This company purports to be a nation-wide service and my friend expected a conversation in Mandarin. When my friend was talking in Mandarin the conversation changed. If this were a national company (as it purports to be) it would have answered in Mandarin. By this stage I was more than a little intrigued by this company. I dug around their website a little further – and found beta versions of their website. One site was even labeled as such – it was http://beta.cnutg.com/ . Here is a screen-shot of that page. The copyright date at the bottom (2009) suggest this was not done very long ago. The page itself is sketchy and dysfunctional. The bookings tend to go nowhere (surprise) and the English language tab does not work at all. My travel-business entrepreneur friend will tell you that repeat business is the key to profitability in one of these travel booking businesses because the customer acquisition is very expensive. Google (or in China Baidu) really do take their cut as key words are very expensive in travel. This company has not even got the basics of customer retention right. The business behind this can't book any travel on any website we found. According to the investor relations website the core business of Universal Travel Group (the flight booking service) apparently has 248 employees at the end of 2007 and presumably many more now as they have (at least according to the accounts) grown like a weed. For starters I will stick with 248 as a minimum number. Here is the website screen-shot. The woman sitting in the center is the CEO/Founder – her name is Ms. Jiangping Jiang and strangely for a hyper-successful travel executive she speaks no English. That said – the text here says that they have entered into sale agent agreements with all the domestic airline companies and “over 30 international airline companies”. I would not be surprised if this stock were listed on the Pink Sheets or even the AMEX. This sort of stuff you can find on the UK's AIM board – but the New York Stock Exchange is special. They have higher standards! To date the SEC has only forcedly delisted a single NYSE listed company for fraud – and that was ACLN. The NYSE must be pretty sure of itself. UTA has received one of the highest honors in capitalism... they opened the floor of the NYSE. It is an honor I doubt will ever be bestowed on me. By my reckoning this is a company where you can almost not bother looking at the accounts – you could short it off the website. But – being an accounting junky I am going to look at the accounts anyway. You can see why the stock is sold on the Air-tickets and Hotel booking business. Air-tickets it seems have an 84 percent gross margin. Hotel bookings a 67 percent margin. Tours have a 13 percent gross margin. There is one thing which jumps out like a sore thumb in this table - and that is there is no elimination line in the revenue break-down. Surely the Tours business buys stuff from the air-tickets or hotel businesses? That lack of an elimination line is enough to question the company’s accounting. If they don’t trade with each other at all then they do not belong together – and there is no reason to have them within one corporate structure. However I am less concerned with the revenue line than with the cost line. Look at the cost of services in the air-tickets and hotel business. The air ticket business had cost of services of 2.7 million dollars – and this is for a business that claims to have 24/7 offices all over China, delivery in over 50 cities and an IT Team of specialists across the world. The company fortunately even gives us a break-down of costs in various sections. This global team of IT and CRM specialists comes cheap – website maintenance for the core airline booking company comes to $44 thousand. No website maintenance is listed for the hotel business at all. It is of course consistent with my discoveries about the website. There is no functional website, no booking system, no payment system, no international airline tab except in Chinese, no rental car tab, and photos of all the international hotels being identical. As it is impossible to pay (despite them claiming “convenient online payments”) it is likely that there is no substantial revenue in that business. The company is however not entirely fictional – there was a real kiosk travel business – and there is an underlying travel agency. The company claims in its core business to have 248 employees at YZL as of the end of 2007 – but given growth and acquisitions that number has grown. This business claims staff costs of $436 thousand. That is about $1800 per person per year using the low 248 employees number. This business would normally include some IT staff and other above-average wage earners – indeed one of the slides above says that the hotel booking business has “over 200 professional staff”. The minimum wage in Shenzen is 1100 Remimbi per month which is $162 per month or $1940 per year. At a first cut this company is paying under minimum wages. In the claims at the top of this post they claim over 300 UTG customer representatives in just the call center. I guess a lot of people might be part time and there are very few higher-wage staff such as IT workers. But whatever – either they don’t have the staff or they are very lowly paid or the accounts are wrong. Total salaries are just over $500 thousand – and the company has claimed to have IT staff around the world, a 300 seat call center and over 200 professional staff. The company also claims to have telecommunications expense of about $75 thousand annually. With over 300 people in the call center (as per their stock promotion quoted above) these call centers would be the cheapest in the world to run bar none. However here I am comparing the salary bill to minimum wages. A quick Google search tells you that sales managers in Shenzhen are very highly paid by Chinese standards. Here is an article from 2007 that suggests the average salary for a Shenzhen sales manager is over USD40 thousand. There has been wage inflation in Shenzhen since then. Average salaries in Shenzhen are only a fraction of those lofty levels but still roughly 4 times minimum wage. It seems impossible that there is a 300 person telephone center function here at those salaries and the cost base detailed in the annual financials – however I can only point out inconsistencies – I cannot verify whether the annual filing (10K) or the 300 person phone center statement is correct. At the current time, including our officers, we have approximately 780 full-time employees, including 80 administrative employees, 200 marketing employees and approximately 500 employees working at our three call centers. None of our employees is a member of a union and our relationships with our employees are generally satisfactory. In accordance with Chinese Labor Law, we provide social security and medical insurance to all our employees. I want to think about these costs from a business perspective. There is almost no customer acquisition cost in the accounts. In this business getting customers in is really expensive. Travel related click fees are amongst the most expensive clicks on Google – and I presume that they are on Baidu too. Indeed in a thin-margin business like www.checkin.com.au if you aggressively seek additional customers you grow quite nicely but eventually with negative margins. You will make money only if the customers return and book more flights/hotels without paying additional click fees to Google. This is a company that – at least in its accounts – is growing like a weed with zero customer acquisition expenses – and with an entirely dysfunctional website. Is there any case for owing this stock at any price above zero? I want to head this one off at the pass. It is pretty clear from this analysis that the main reason for owning the stock of Universal Travel Group is dubious. The online booking engine is dysfunctional – and the massive margins that it claims (84 percent for plane tickets) are thus also dubious. All the profits that the company claimed it made out of the travel booking business (by far the bulk of its claimed profits) are similarly dubious – though there is a real travel company which might be making some profits. The company claims in its most recent quarterly balance sheet to be carrying 43 million in cash and accounts receivable of almost 20 million. If the airline and hotel business are dubious then the profits generated that cash are dubious. In that case the cash itself is dubious. I know people will buy this as Ben Graham net-net stock if it collapses. Unless this company can get a big four audit firm to sign-off for them I think you can – at least for the moment question the entire balance sheet. They have however just appointed a new auditor. I quote the press release: the Board of Directors, in consultation with its Audit Committee, has appointed Goldman Kurland Mohidin ("GKM") as the Company's independent auditor to replace Acquavella, Chiarelli, Shuster, Berkower & Co., LLP, effective September 1, 2010. I don't know who GKM are – and I will be thrilled if any of my readers can – off the top of their head – name three other companies they audit. Whatever: I think that GKM can take it as read that this is a higher-than-normal-risk audit assignment. And the first thing to do – confirm the existence of that $43 million cash stash. How the company is behaving? The company is not behaving as if this is a cash rich company. The company has one real business – 1523 travel kiosks which appear in company promotional literature as electronic booths. I think this was (at least at one stage) a real travel booking business and remains one albeit off the internet. The kiosks were places that people without a computer or phone could book travel online using a touch screen. I have not seen any of these kiosks but have spoken to people who have. They just sold them for 40 million CNY – or about $5 million. They proudly note however that they get to keep the travel-related revenue from these kiosks for the next two years. As this was the foundation business for the company it seems unlikely they would sell it especially as the accounts suggest they are awash with cash. They did not announce whether they had a gain or loss on the sale of that business – but someone I know was told (last year) by the company that the cost base of these kiosks was about $6000 each. On those figures they are taking a largish loss. This is not the behavior of a company with a strong business swimming in cash. The company has however been buying other businesses – such as a hotel booking business in Chonquing. But the other company websites including this one http://www.cba-hotel.com/ have – when worked on – a similar Alice-in-Wonderland character. That site produces similar errors when it gets around to payment time. It is however browser sensitive. If you use Firefox or Microsoft Internet Explorer you wind up at pages which are gibberish – not even recognizable Chinese. (I relied on Chinese friends to tell me that though – I can't tell the real Chinese from the gibberish Chinese.) Whatever browser you use you wind up with the strange inability to book anything. The CBA-hotels.com site however does have a forgotten password option – they will text your password to your mobile phone. If someone has a Chinese mobile phone I would love them to test that. In August 8, 2007, UTG acquired Shanghai Lanbao Travel Service Company Limited, a centralized real-time booking system that provides consumers and travel related businesses with hotel booking services via the internet and mobile phone text-messages. The company owns and manages the award winning China Booking Association website, http://www.cba-hotel.com/, which receives approximately 200,000 visitors daily. The network is open to more than 200,000 hotels, 5,000 booking centers and 8,000 travel agencies and tourist companies throughout China. Its intra-hotel network includes more than 3,000 franchise hotels and 800 hotel booking businesses and agencies across China. The company’s China Booking Association website, http://www.cba-hotel.com, receives about 200,000 visitors daily and, in 2006, made about 500,000 hotel reservations. Maybe the good analyst at Emissary had a different experience on the website to us. They paid cash and stock for that business. The stock I presume has found its way to the NYSE and hence to retail and institutional investors in America. Did we find that there was anything real about the company in our investigation? Yes. There are non-fictional elements here. As far as we can tell the company really does run tours. The margins for this tour business are higher than most tour businesses report – and given the accounts are clearly more generally questionable I would not put much store in its value – but there is some value here. More to the point there is a real telephone based travel agent here – one that does not present as a national agent (the phone is answered in Cantonese). But as there is a travel agent there will be some sales. Universal Travel Group (NYSE:UTA) ("Universal Travel Group" or the "Company"), a leading travel services provider in China offering package tours, air ticketing, and hotel reservation services online and via customer service representatives, today announced that it was presented with three awards at the 16th Annual Asian Tourism Golden Travel Awards Ceremony, held in Beijing on August 29, 2010. Universal Travel Group was honored with the Top Ten Golden Asian Travel Agency and Top Rated Travel Agency in Greater China Award, and Ms. Jiangping Jiang, Chief Executive Officer of UTA, received the Most Influential Figure in the Travel Industry in Greater China Award. "We are honored to receive these awards which recognize the strides we have made in building a leading travel service business in China," stated Ms. Jiang. "We are committed to providing excellent service and a wide variety of travel offerings to our customers and look forward to continuing to expand our air ticketing, hotel reservation and package tour business across China." Now awards are – by their nature – public and tourism awards are doubly promoted – so we thought we might find some references to these awards on the web. Alas – there is not a single reference in Google to these awards without the word “universal” in it. A Google Search which insists on the phrase “Annual Asian Tourism Golden Travel Awards” and the absence of the word “universal” presents no results. We thought that the company might have made up the awards. But alas searches using Chinese characters pulled up a few additional references. We can find a 16th annual award and a 15th annual award but no 14th annual award. Here is a link to a press article we found... http://www.chinadaily.com.cn/hqzx/2010-09/04/content_11257208.htm. Indeed we have found some pictures of this award ceremony – and they include photos of executives at UTA... http://travel.sina.com.cn/news/2010-02-02/1523126027.shtml#page_pic. The company claims a relationship with Priceline in their conference call. They claim that Priceline entered this to strengthen their position in China – and that 8000 hotels will be available for online booking through this relationship. We have not found them. But then I encourage readers to fiddle with the website and see if you get something better. And if you are travelling in China and you want to use their services I would love to hear back from you. PS. Disclosure: when we find something like this we tend to go short. We remain true to tendency. Oh, and in keeping with the Lewis Carroll theme throughout this blog post, if you are long this I have a single piece of advice: “Beware the Jabberwock my son”.